Learning another language is always a challenge and Arabic is definitely not an exception. However, there are many ways of learning Arabic - from language books and videos to classes and online courses. With the right method and persistence you will soon notice significant progress. Want to learn some Arabic before moving to Kuwait? www.gulfarabic.com - On this website you can learn Gulf Arabic through grammar, vocabulary and pronunciation lessons for free. By paying a subscription fee you will have the access to the full text, audio & exercises. www.kuwaitarabic.com - This is another on-line course of the Kuwaiti dialect. The site offers first class colloquial Arabic classes, fun study programs, colloquial Arabic learning materials, high quality translation and interpretation services. www.madinaharabic.com - This portal is aimed at people who want to learn Arabic online with lessons, tuition, vocabulary, downloadable e-books, user forums, etc. www.arabic.desert-sky.net - A web page that features various links to websites with free information on Arabic language and also media sources with free content that can help you practice Arabic. Learning languages only via courses or books can be frustrating and boring. We advise you to combine traditional learning with some additional approaches that will help increase your ability to succeed in Arabic learning. 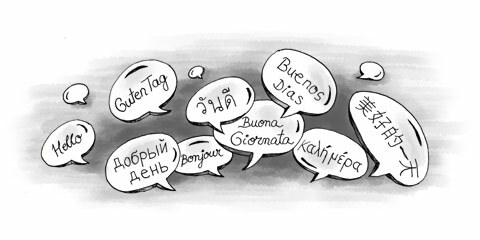 Find a language exchange partner in our classifieds. Click here.